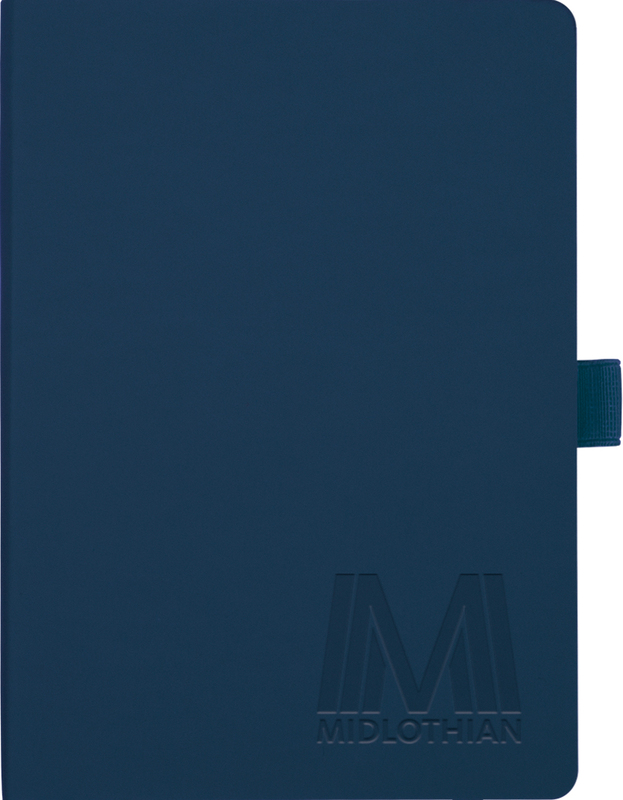 Soft touch, flexible cover journal available in 10 colors (Black, White, Silver, Pink, Red, Orange, Lime, Mint Green, Navy and Purple). Includes blind deboss imprint up to 16" sq. 72 sheets of lined white paper, with matching elastic pen loop, satin ribbon bookmark and elastic privacy closure. AVAILABLE FOR SURESHIP. Due to Tariff's - Imported product pricing will be adjusted quarterly. Standard turnaround is 3-5 business days from proof approval. 24-Hour SureShip available with no proof and no full-color add-ons. Check inventory on desired color. This is an imported product.